Verdict: A marked return to high complications, smaller and more elegant case construction. Neither round nor square, the classic barrel-shaped tonneau design first pioneered by Cartier in 1906 now finds itself reimagined in the Cartier Prive Tonneau line. In either pink gold or platinum, the Prive Tonneau Extra Large Skeleton Dual Time Zone is simply magical. The Big Pilot’s Watch Constant-Force Tourbillon Edition "Le Petit Prince" is IWC Schaffhausen’s first pilot's watch fitted with a constant-force tourbillon, and also features a case crafted from hard gold — a significantly harder and more wear-resistant version of red gold. The Master Grande Tradition Gyrotourbillon Westminster Perpétuel is the latest generation of multi-axis tourbillon watches to emerge from Jaeger-LeCoultre’s workshops, and promises enhanced acoustics while a smaller size makes it more wearable. On the occasion of its 10th anniversary, A Lange & Söhne’s first mechanical wristwatch with a precisely jumping digital display is endowed with a new manufacture calibre featuring a surprising extra function — a glass ring date has been added to what is now named the Zeitwerk Date. A new feature of Montblanc Star Legacy Full Calendar is the 12 black Roman numerals, lending this supremely balanced and aesthetically refined timepiece an air of old-fashioned style. The automatic MB 29.12 calibre provides date, day, month and moon phase indications in addition to the time. The limited edition Altiplano Tourbillon represents the height of Piaget’s prowess in gem-setting, decorative stone dials and ultra-thin watchmaking — amidst a blue meteorite dial encircled by diamonds, the whirling dance of a flying tourbillon at 2 o’clock recalls the rotation of planetary bodies. The 30-piece Richard Mille Bonbon collection, based on the iconic RM 07-03, RM 16-01 and RM 37-01 models, offers a colourful passage to childhood inspired by the simple pleasure of slightly regressive and thoroughly tasty memories, to be enjoyed without moderation. 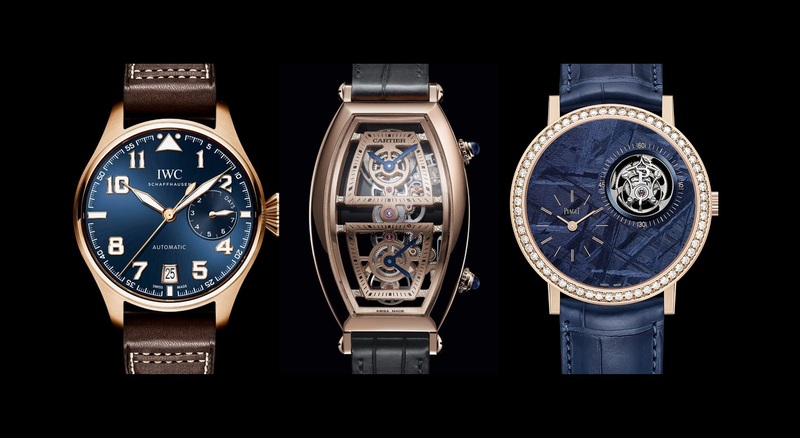 Vacheron Constantin is endowing the exclusive Mécaniques Sauvages range with new creations that portray the majesty of wild animals, combining the maison’s two-fold mastery of watchmaking techniques and artistic crafts. For more news on SIHH 2019, pick up a copy of Options in The Edge Malaysia.